A classroom in learning and preparing for a better future. S. Jayakumar from Tamil Nadu says, “Earlier, I used to be unemployed and nobody in my village respected me. Today, they know me by my name and I have my own identity.” He wanted to pursue higher studies; however, his dream was shattered as he had to opt out of his Bachelors program due to financial constraints. He took up a job as an admin assistant in a clinic. Today, he works as a trained technician in the same facility where the doctors have recognized his talent and find him indispensible. What happened that helped S.Jayakumar collate the shattered dream to a reality? 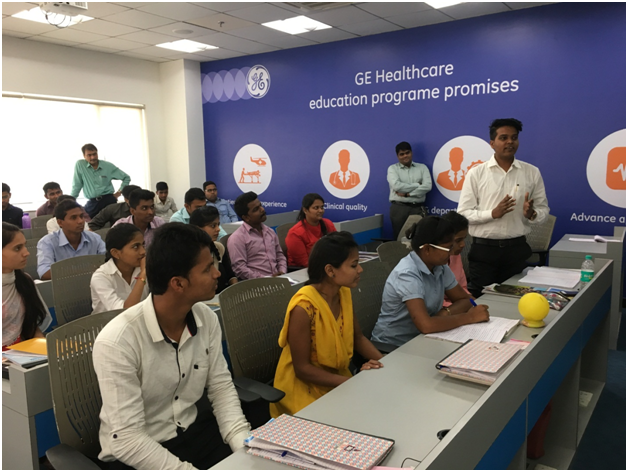 In late 2016, Wipro GE Healthcare launched a skill creation program in partnership with Tata Trusts with the aim to train 10,000 youth in various technical areas of healthcare over a three-year period. The organizations work in collaboration for a skilled and healthier India to transform healthcare technical or operating staff. Candidates who enroll for the course receives loan scholarships from Tata Trusts upon qualifying. This skills-based programis aimed primarily at high school graduates from economically weaker sections, seeking to educate them, engage them through internships, and empower them for employment. The courses are designed, developed, and executed by Wipro GE Healthcare with a view to skill, reskill, and up-skill them. 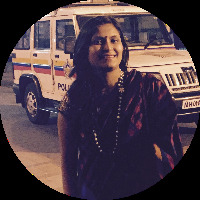 The sustainable intervention allows the students to repay the soft loans provided by Tata Trusts up to three years after getting a job. The comprehensive program incorporates theory and practical modules, divided as 4 months in a classroom and 7 months of observership and internship. The innovative business model ensures faster and better return of investment for the beneficiaries as it offers to train the students within a year as compared to the three years degree program, hence helps distinguish between skills and education. 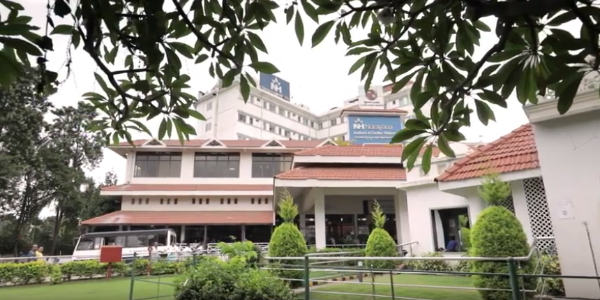 The course material and training centers are approved and accredited by Healthcare Sector Skill Council (HSSC) giving it the much needed government recognition. Collaboration with hospitals and diagnostic centers for securing internships and placement opportunities for the students as well as alliances with local NGOs and skills-based institutions for mobilizing the candidates and implementing the training programs reduce the infrastructural costs, make this project an asset-light model, and facilitate regular attendance of students, especially women. The existing bond and trust between these local organizations and the communities helps win the battle against the myths and barriers that may baffle the students and their families. The project converted challenges into inspirations. The inspirations revolved around the lack of education, an acute skill-gap, drought of hands-on training modules, and unemployment. Partners, centers, trainers, as well as students are methodically selected. 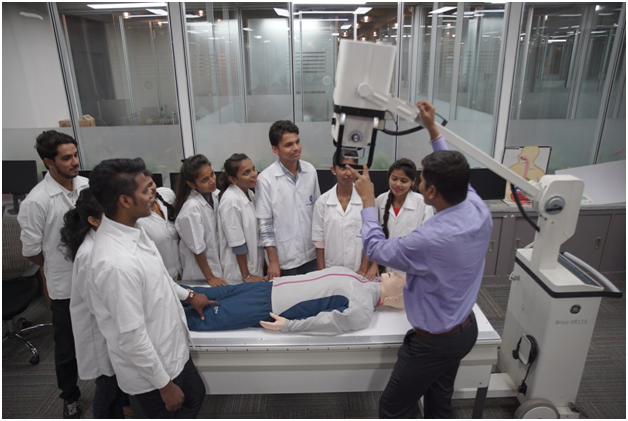 This one-year course help these earnest students graduate as X-Ray, radiography, medical equipment, anesthesia, operation theatre and cardiac care technicians, as well as diabetic education counselors, and is already making its footprints visible. Instances of students taking up sales profile in healthcare are no surprise. 42 centers in 17 states, over 2500 enrolled students, a male to female ratio of 58:42, 95% as the pass percentage, 80 % placement rate, and less than 10% dropout rate within two years of timeframe validates the successful journey of the project. A stipend for an intern averages Rs.4,000 per month and can move up-to Rs.8,000 per month. The dedicated and enlightened alumni can earn an average salary of Rs.8,800 per month with some earning as high as Rs.20,000 per month. With a hope of strengthening the healthcare ecosystem, the organization invites and urges other organizations to embark on this empowering journey. 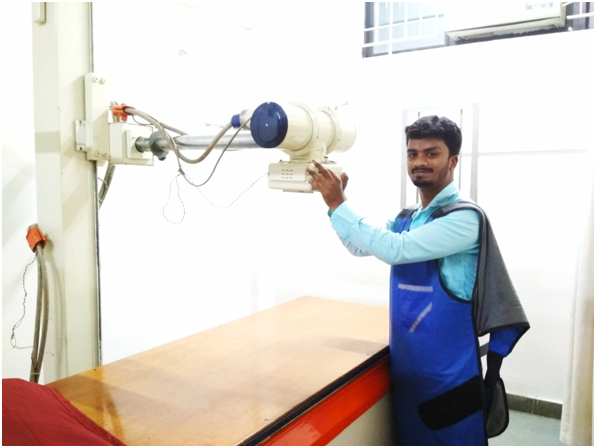 S.Jayakumar an alumnus of Wipro GE Healthcare applying his learning to his work. This initiative has recently won NGOBOX-Dalmia Bharat 5th CSR Impact Award in Skill Development category.